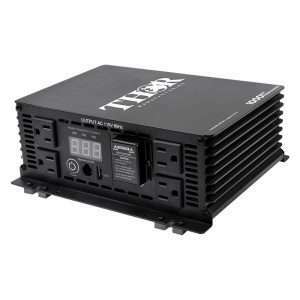 We are big fans of Thor Manufacturing Inc’s power inverters. 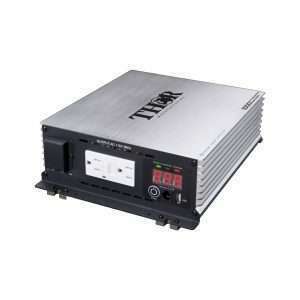 They produces both pure sine wave (PSW) and modified sine wave (MSW) DC to AC power inverters. In addition to their inverter line, they also manufacture, transfer switches, battery chargers, isolators, fuse blocks, inverter cables, power packs, solar panels and other renewable energy accessories. 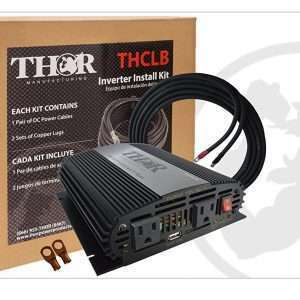 Thor released it’s latest line of power inverters in late 2015, redesigning the look, but keeping the high quality features and specifications that Thor’s customers have grown to love over the years. All Thor PSW and MSW inverters come with a limited two year warranty. They also have inverter kits, cable kits, battery chargers, transfer switches and battery isolators in their catalog and we have them all available 24 hours a day, 7 days a week. We will price match anyone, if you need bulk orders for your fleet trucks or want to stock up your RV service center, please call us first as it’s the last phone call you will need to make.